The project, led by Playbusters with support from PHA, McTaggart Construction and The Wheatley Group, will see an unused area transformed into a fantastic space for our local veterans. The garden will be situated on the vacant land in Parkhead between 160,170 and 180 Tollcross Road back court area and the old Parkhead Bus Garage. The project is sure to bring some much needed life and vibrancy to a previously unused area and provide a very deserving group in our society an area of tranquility to assist in their ongoing rehabilitation. 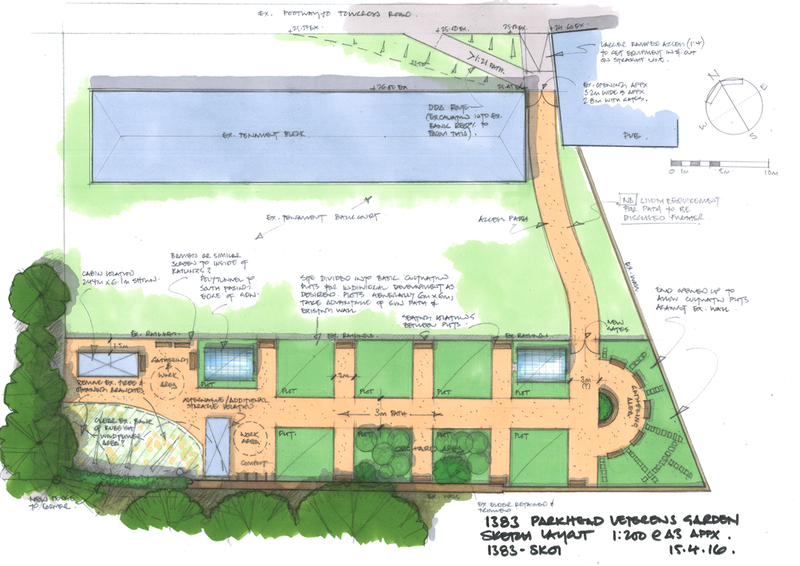 Above you can see an artistic impression of the proposed layout of the garden itself which will include a seating area where the Veterans can to reflect on their time in the forces with like minded individuals. We hope this project will be a great success and will provide our heroes with a calm and comforting environment for them to flourish.